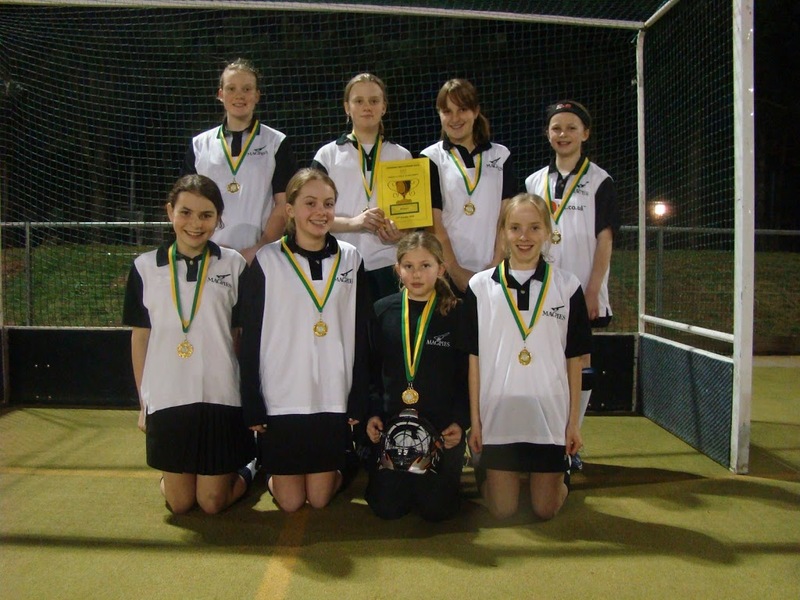 Harleston Magpies U11 girls finished 3rd in the Norwich City Tournament. 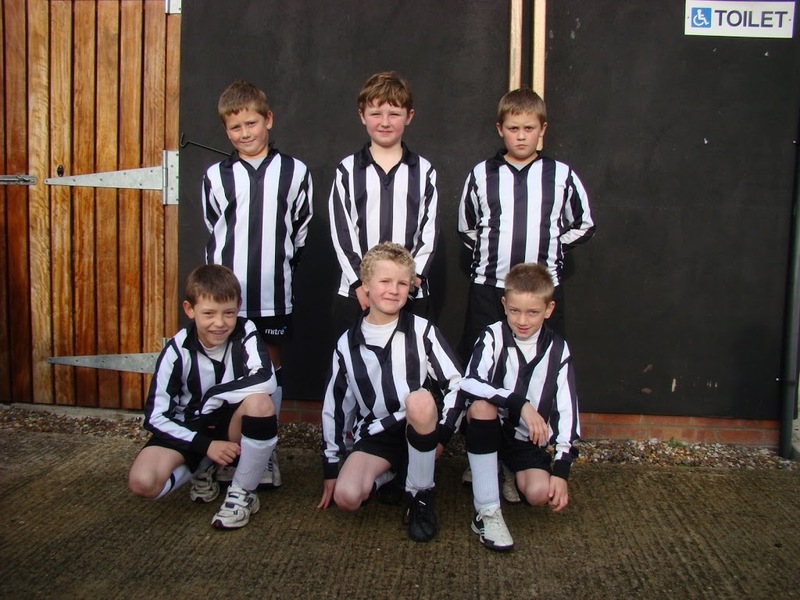 This qualified Magpies for the semi finals where they lost 0-1 to Dereham Tigers. 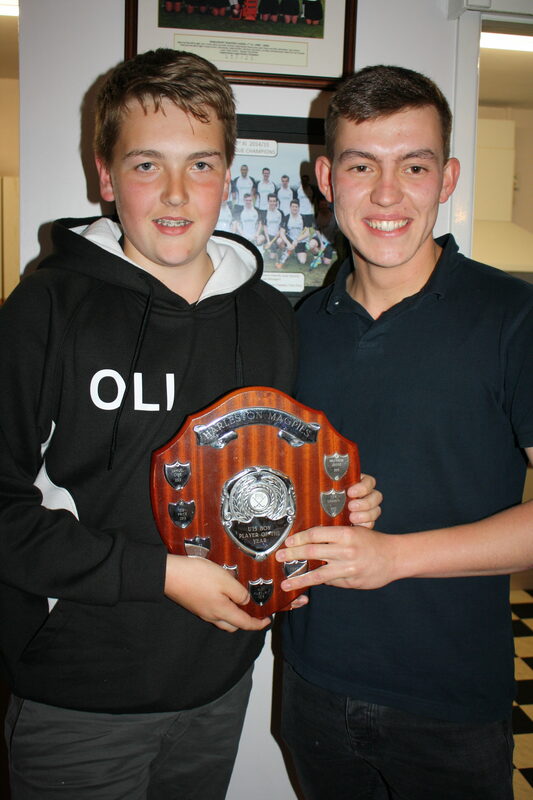 Magpies finished third after a 3rd/4th play off. 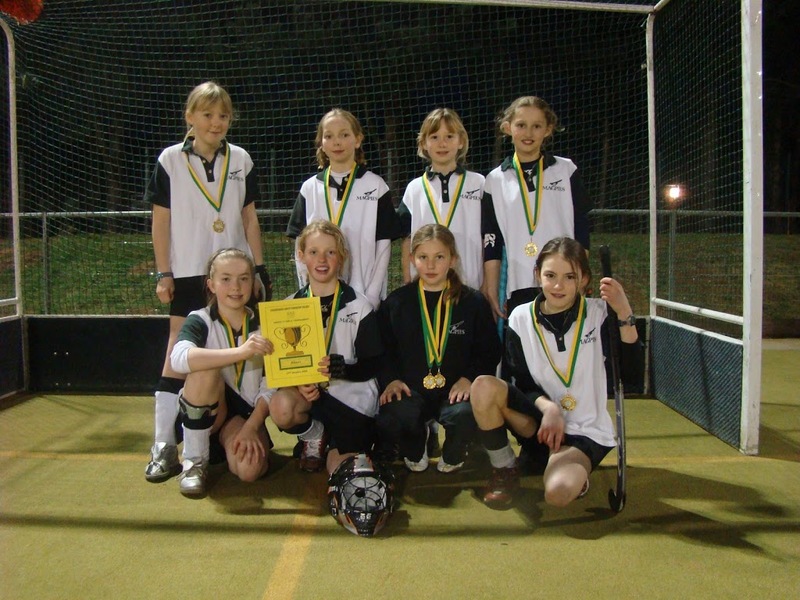 Team: Georgina Warren, Lucie Gooch, Beatrice Flatt, Katie Crawford, Eliza Bell, Elle Eglington, Matilda Warde-Aldam. Manager David Crawford. 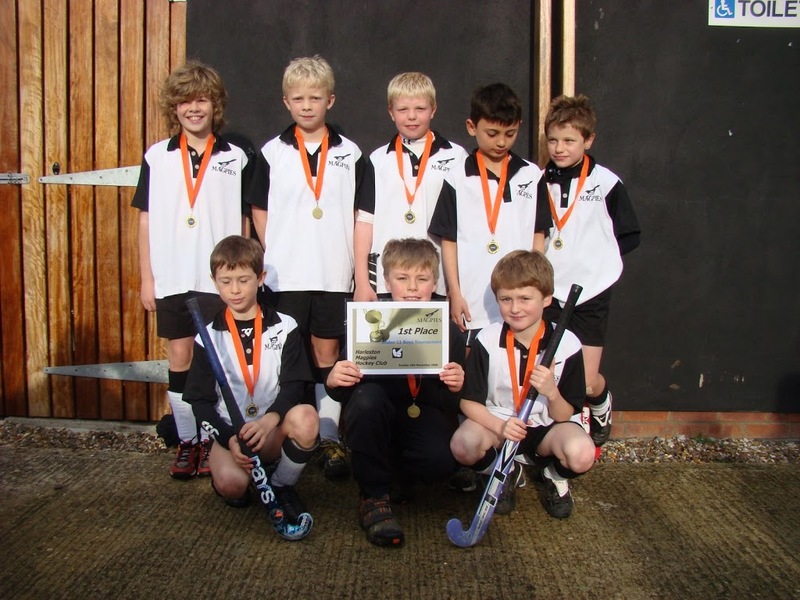 With the majority of the regular Under 11 team unavailable as they were playing for the U12s in the East Finals at Harleston, Magpies sent out a very young side to play at Dereham with the majority of the players U10 and some Under 9. 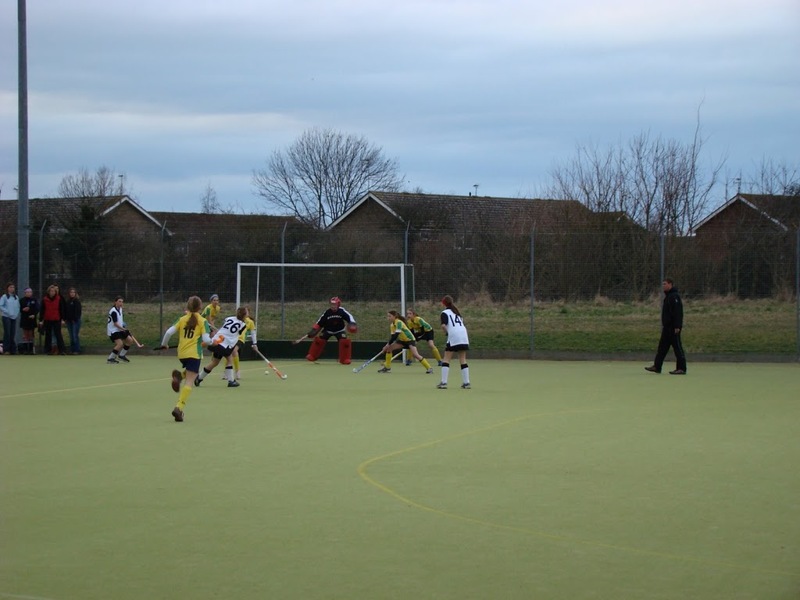 Magpies started with a 0-0 draw with Watton before beating Pelicans B 4-0. 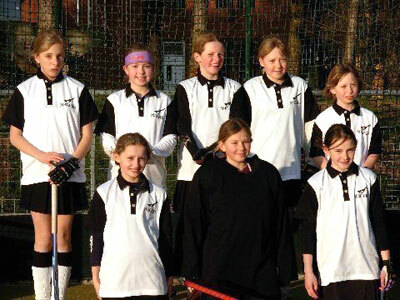 Lottie Summers scored 3 and Martha Lawrence scored 1. Magpies drew 1-1 with Dereham (Lottie Summers) and were unfortunate to concede a last minute equaliser. 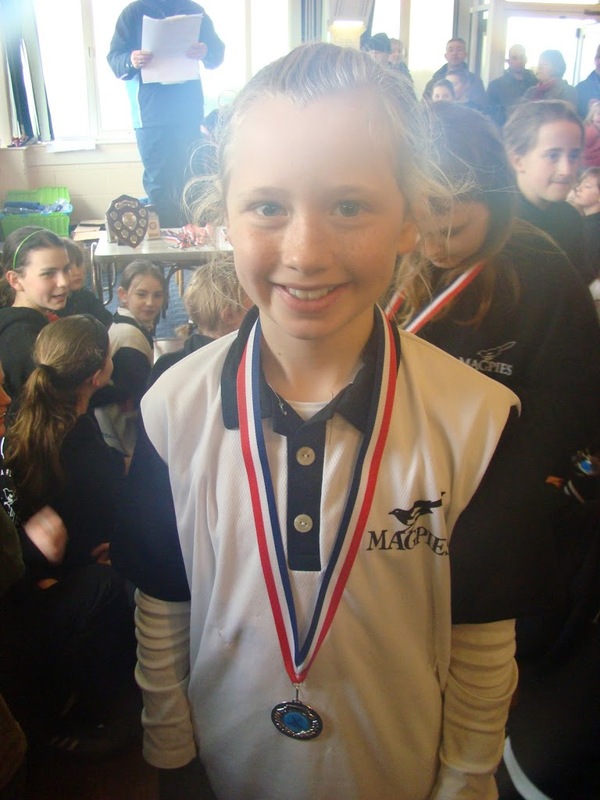 In the play offs for third place Magpies drew 1-1 with Pelicans A with Lottie Summers scoring the goals. Based on the number of goals scored over all Magpies finished a very creditable third. 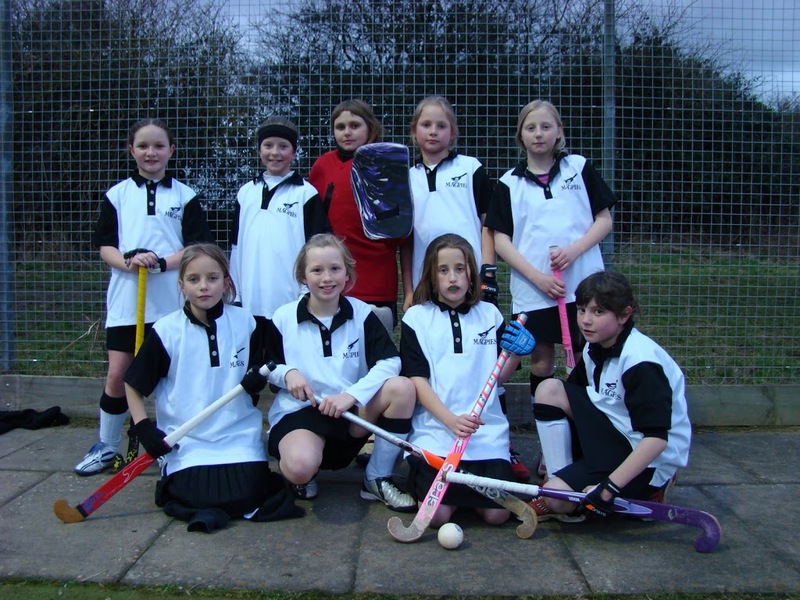 Team: Georgina Warren (Capt), Lucie Gooch, Megan Conway, Matilda Warde-Aldham, Hollie Hunter, Lottie Summers, Martha Lawrence and Anna Kilbourn. 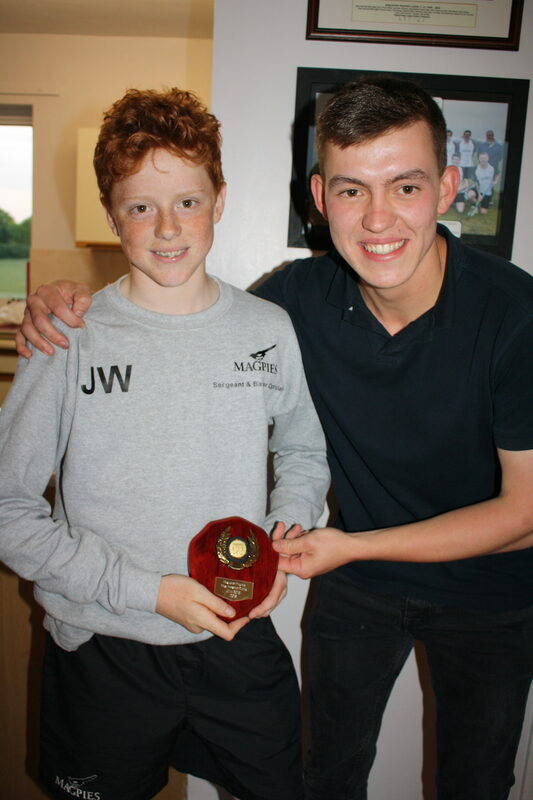 On Sunday Magpies had 2 teams (18 players) in a tournament at Weybread. 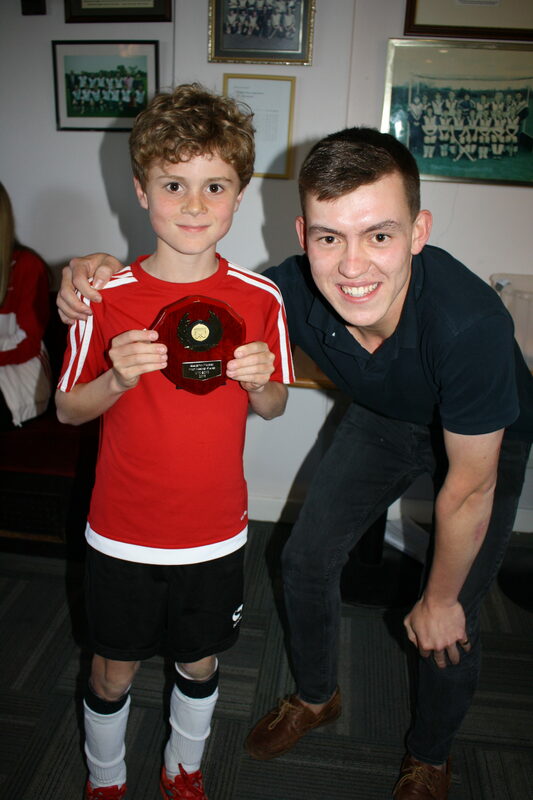 They each had to play 9 matches in a superbly organised (thanks to Nick and Shirley McAllen) 10 team tournament. 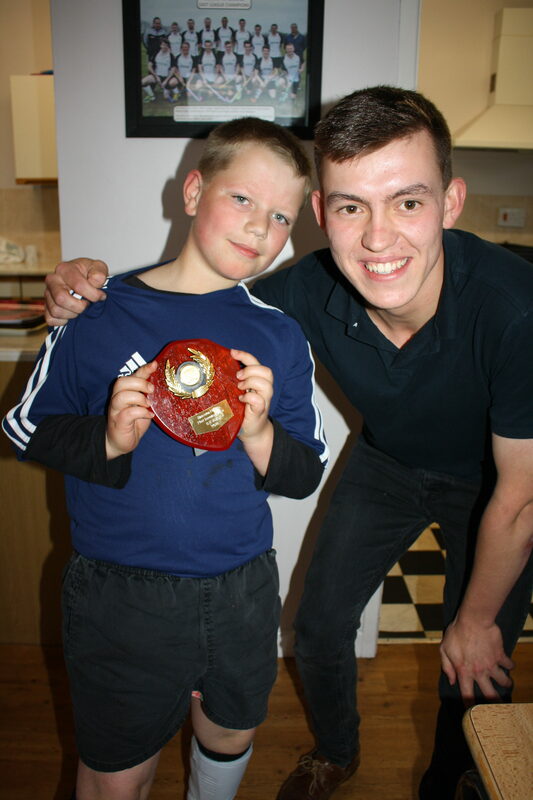 Our A team managed to win 6 matches and draw 1. 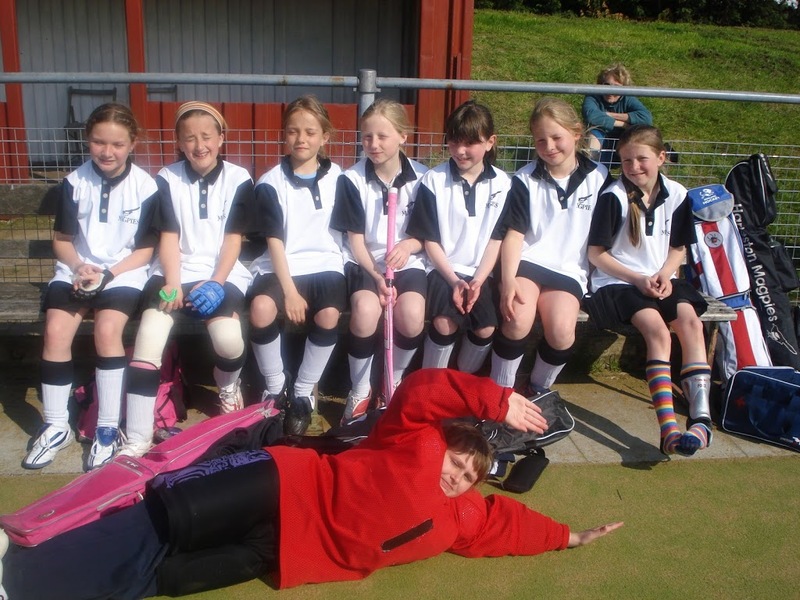 The B team under the coaching / guidance of junior coach Amy Brook managed 1 win and 3 draws. All of the girls had a great time and are making good progress in their individual skills & team play. 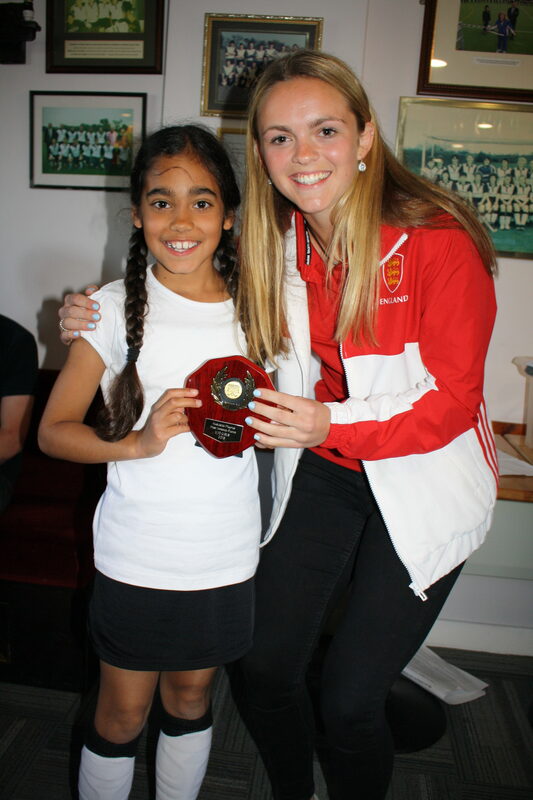 They are such an enthusiastic bunch who will hopefully keep enjoying their hockey for many years to come. Unfortunately Magpies were without their captain (Kara Kilbourn) for this tournament but the girls still managed to win 3 games, draw 1 and lose 2 to finish 4th. 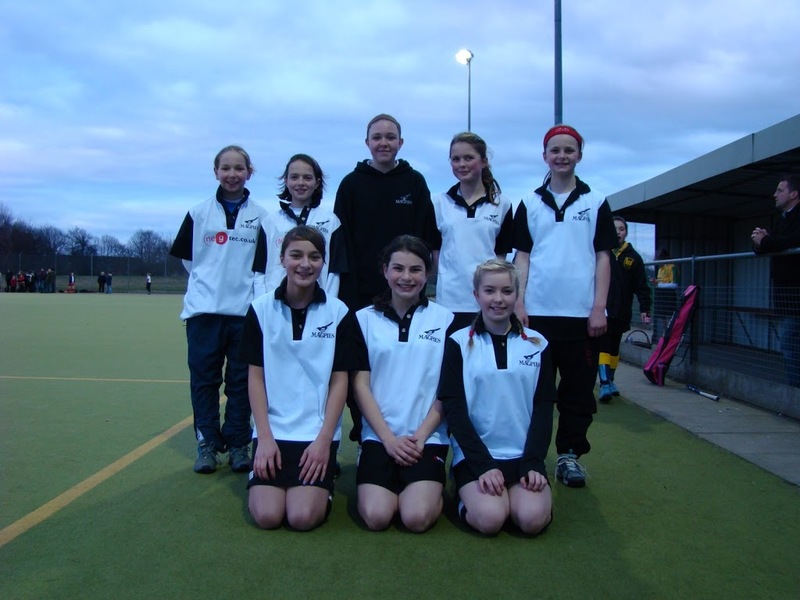 Sophie Long, Emily Mckluskey, Hollie Hunter, Krystal Jenkins, Ellie Eglington, Katie Crawford and Beatrice Flatt. 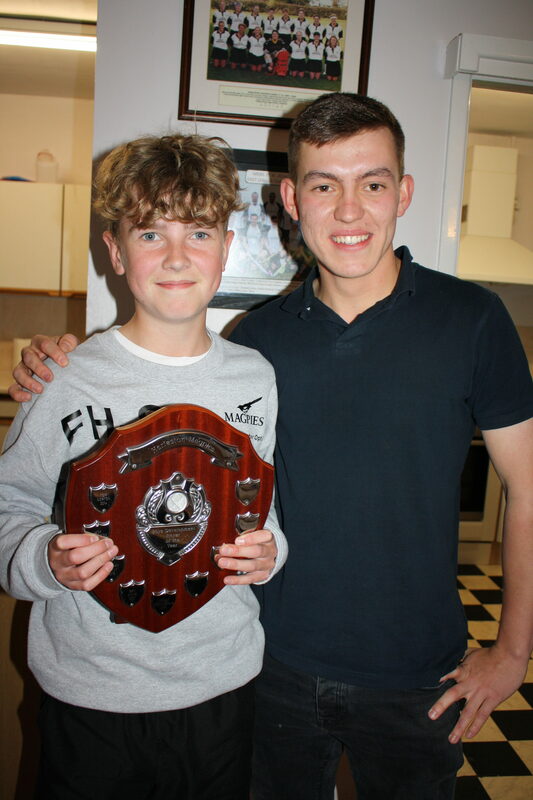 Thanks to Helen Brook for managing and coaching the team whilst David was away at County hockey. 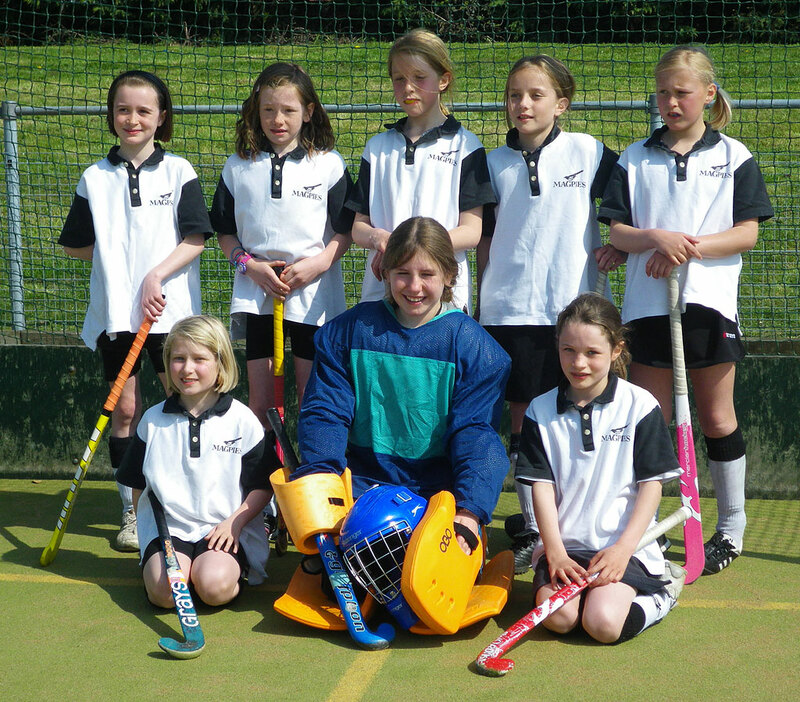 Magpies U11 girls took part in the County Championships with 7 other teams on Sunday. The girls finished with 12 points from their 7 matches – the same as Norwich City. Above these 2 club sides were Greshams in 1st place (maximum points) and Town Close School in 2nd place. 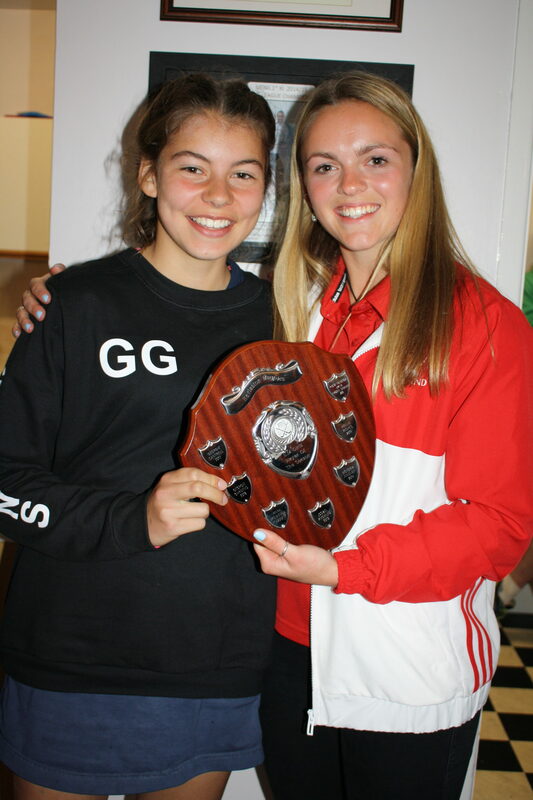 Magpies gave Greshams their closest match of the tournament with Anna Berry in goal having an excellent game. Greshams had 2 superb players (who combined to score a couple of quality goals) but our girls played with skill and team work throughout. Magpies also drew 1-1 with Town Close thanks to a super short corner by the outstanding Beatrice Flatt. Her tackling and distribution throughout the tournament was excellent. 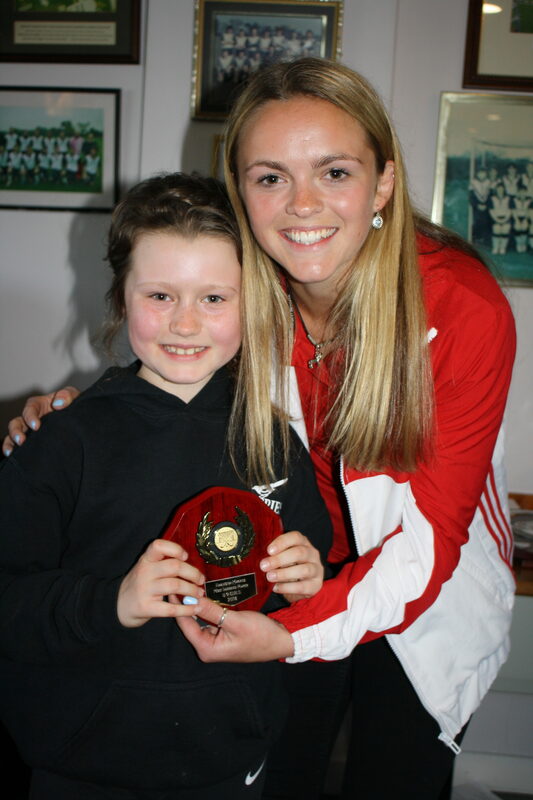 Emily McCluskey also had a good tournament working tirelessly in midfield. 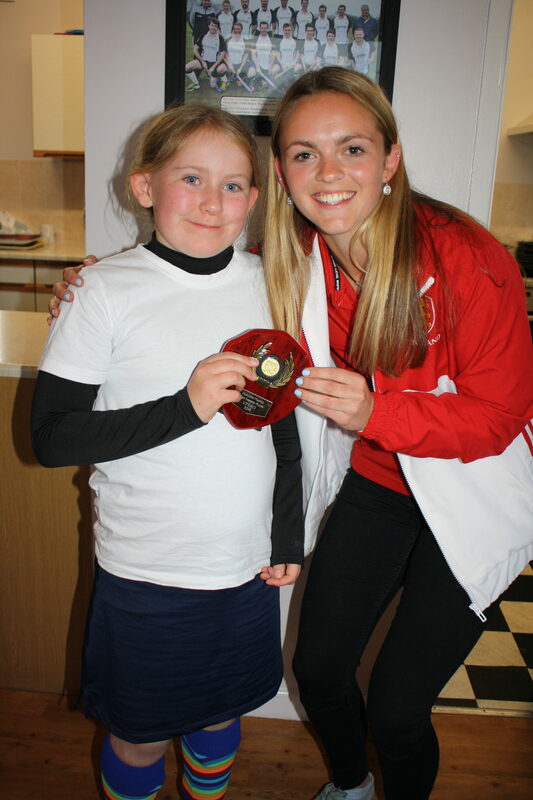 Kara Kilbourn also had a good tournament which included a hat trick against Dereham. 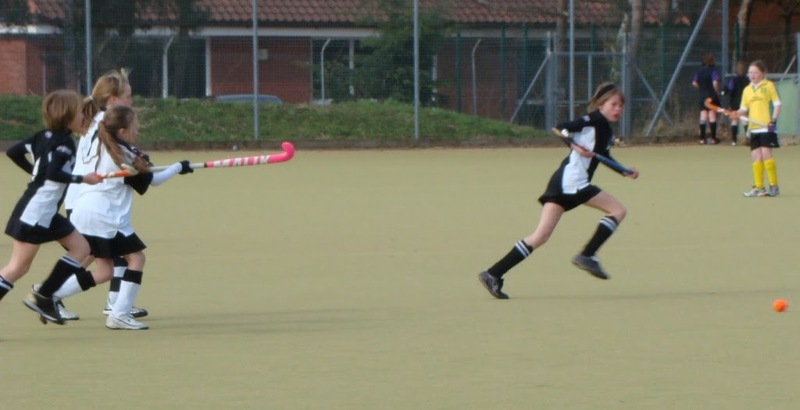 Sophie Long also scored against Dereham and Watton. 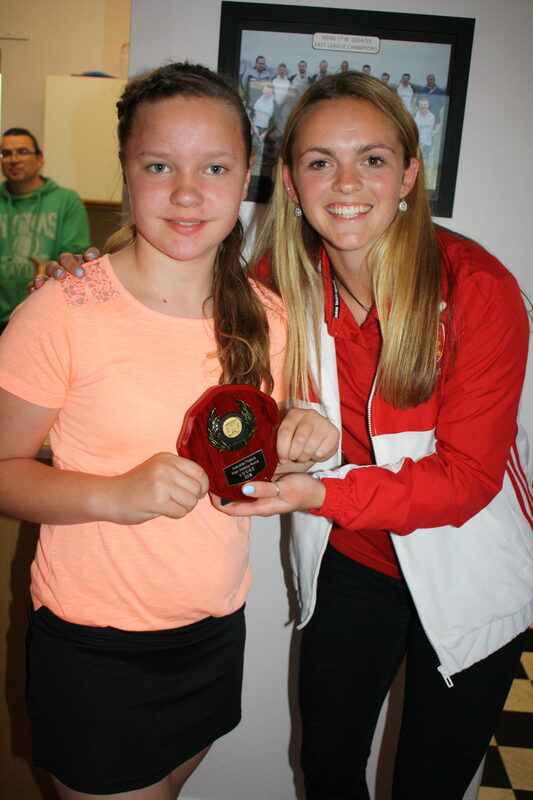 Krystal Jenkins and Katie Crawford played well in defence and continue to improve with each tournament. The only disappointment on the day was a loss to Norwich City with the last touch of the match after a failure to convert vastly superior territory & possession (for Magpies) into goals at the other end. 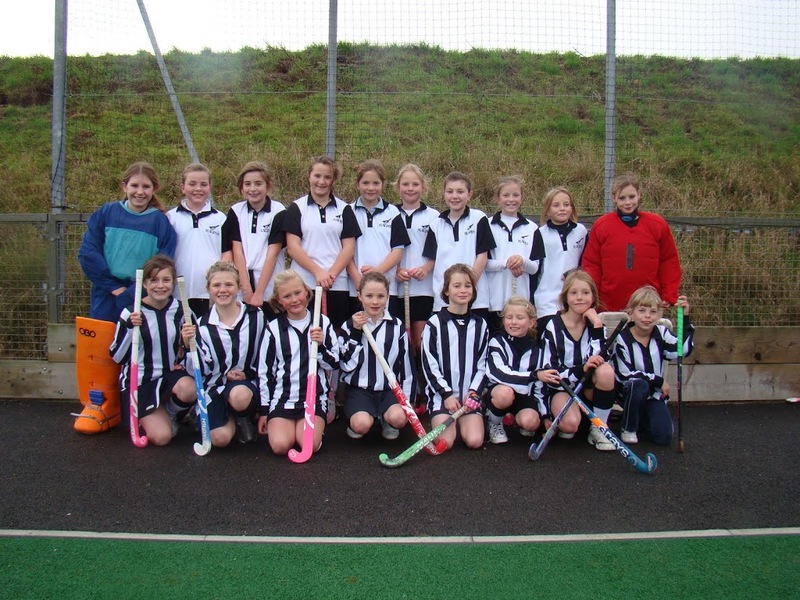 Magpies Under 11 girls produced a much improved performance this week at the Pelicans tournament. 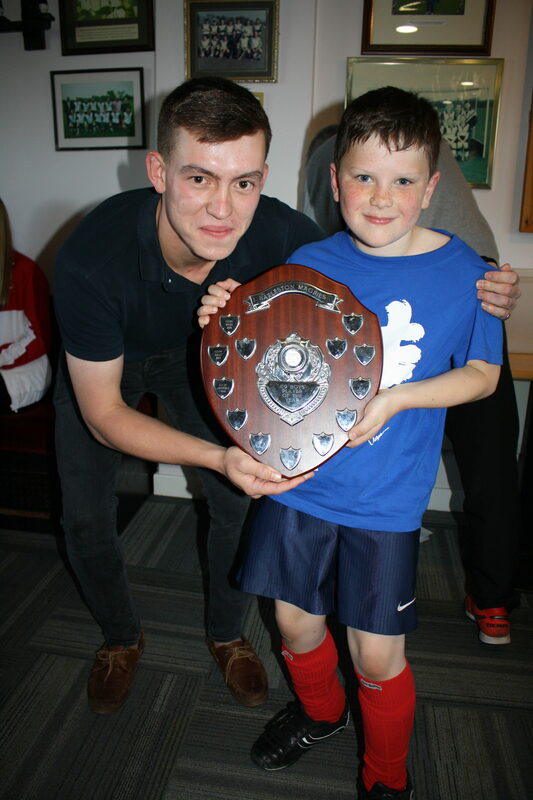 They were unbeaten in their 5 matches and finished a close 2nd to Norwich City in the tournament featuring 6 teams. Magpies started with a frustrating 0-0 draw against Dereham despite dominating territory and possesion. However, it was important not to lose our opening match. Magpies then got 3 points from a 1-0 victory aganist Pelicans. 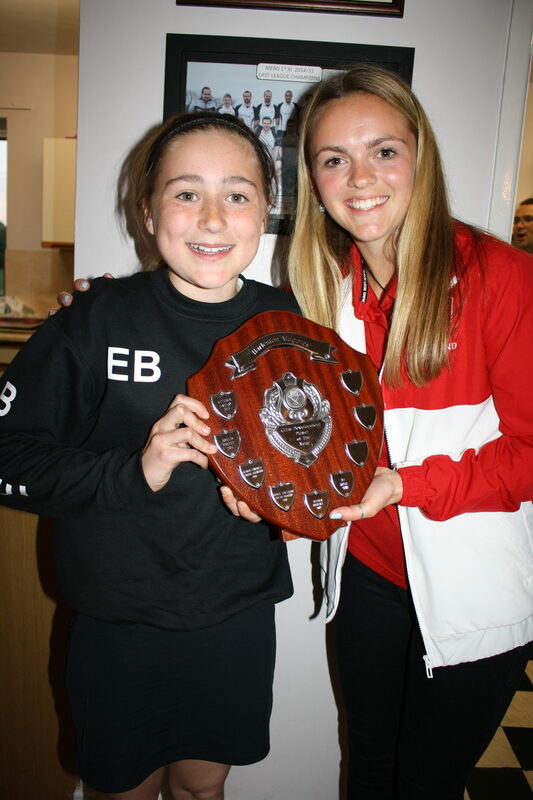 The girls had lots of attempts on goal and evetually Emily McCluskey scrambled the ball into the net. Magpies were now playing with confidence and quickly picked up another 3 points from a convincing 2-0 win v Watton. 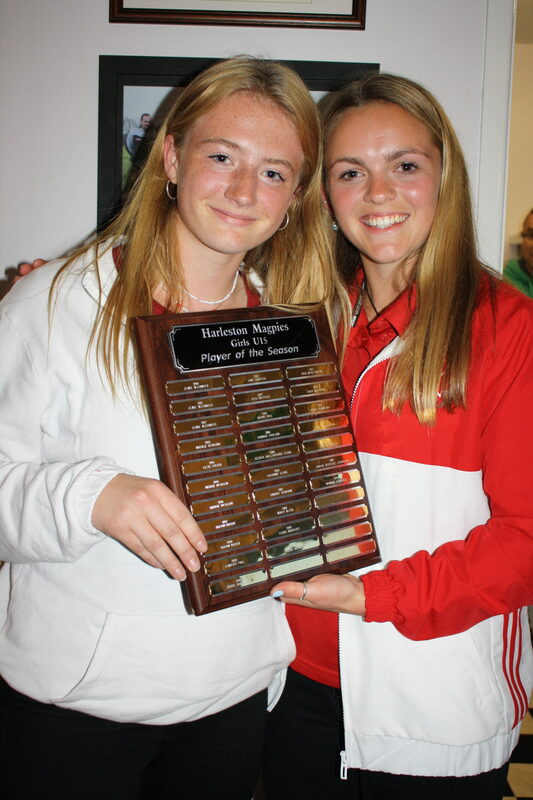 Sophie Long scored with a super hit and Kara Kilborn got a deserved 2nd after lots of efforts on goal. 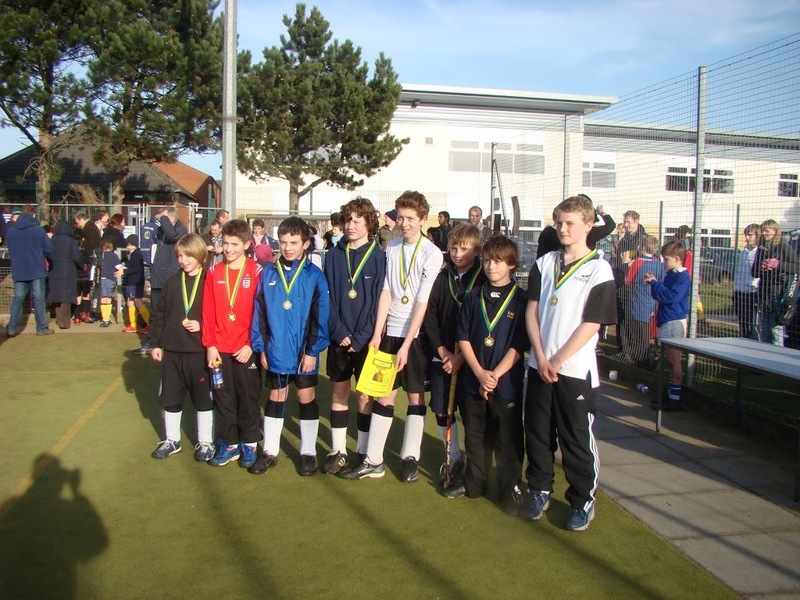 Winners and runners up medals were then up for grabs when Magpies played Norwich City (who had won the other 2 under 11 tournaments this season). This proved to be a really competitive and exciting match. 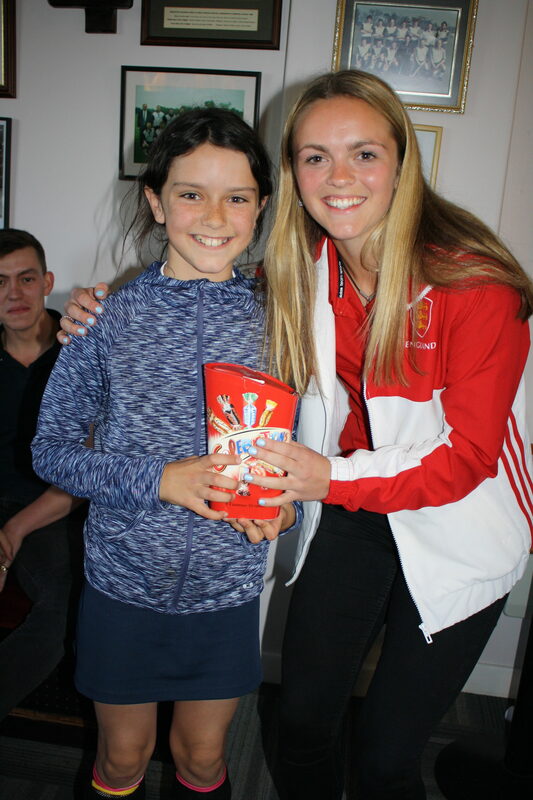 Ana Berry (who had so far kept 3 clean sheets in the tournament) made several good saves and Holly Hunter had 2 good chances at the other end. Norwich took the lead from a short corner. Ana made a good block from the initial shot but Norwich reacted quicker to the rebound. Magpies did not give up and put Norwich under pressure in the closing minutes. 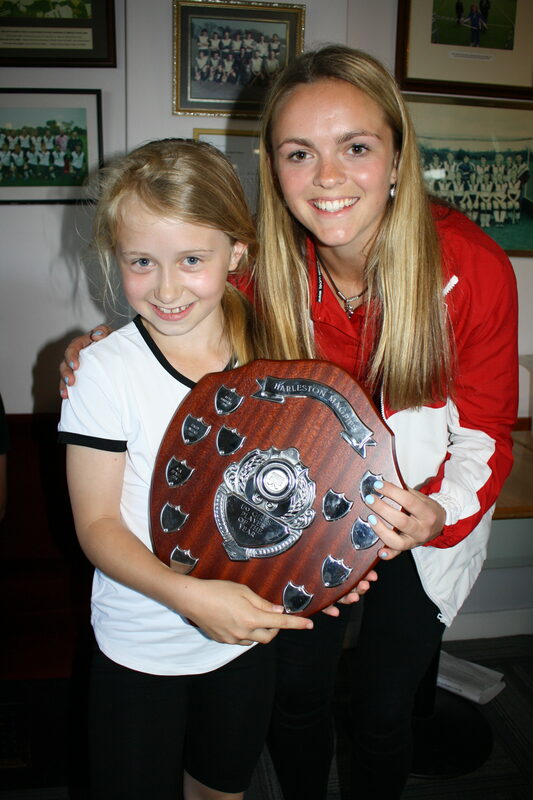 Kara Kilbourn scored a superb individual goal (beating 2 defenders and the keeper) with the last touch of the game. Magpies then beat Norwich B (another goal by Sophie Long) to finish with 12 points. The draw against Dereham in the first match in the end cost Magpies 1st place in the tournament. They can be really pleased with the progress they are making at the moment. 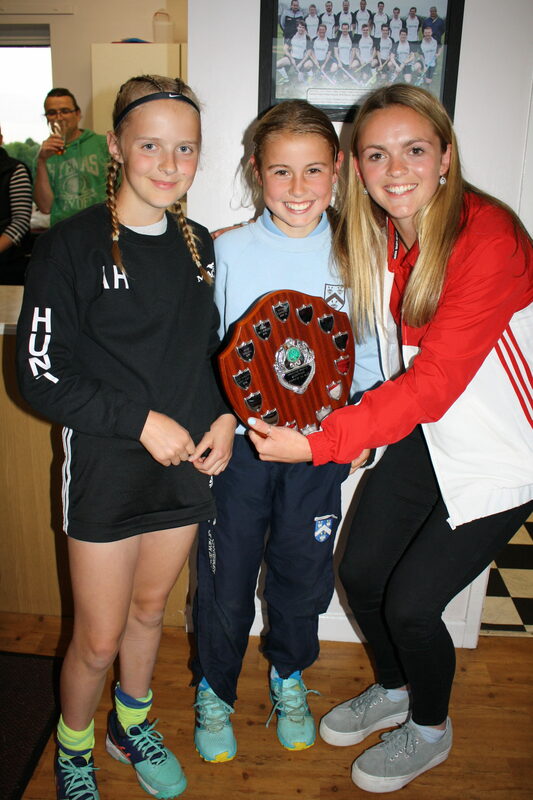 Aswell as our goalscorers the defenders Betrice Flatt, Katie Crawford and Krystal Jenkins plus goalkeeper Ana Berry had an excellent tournament. 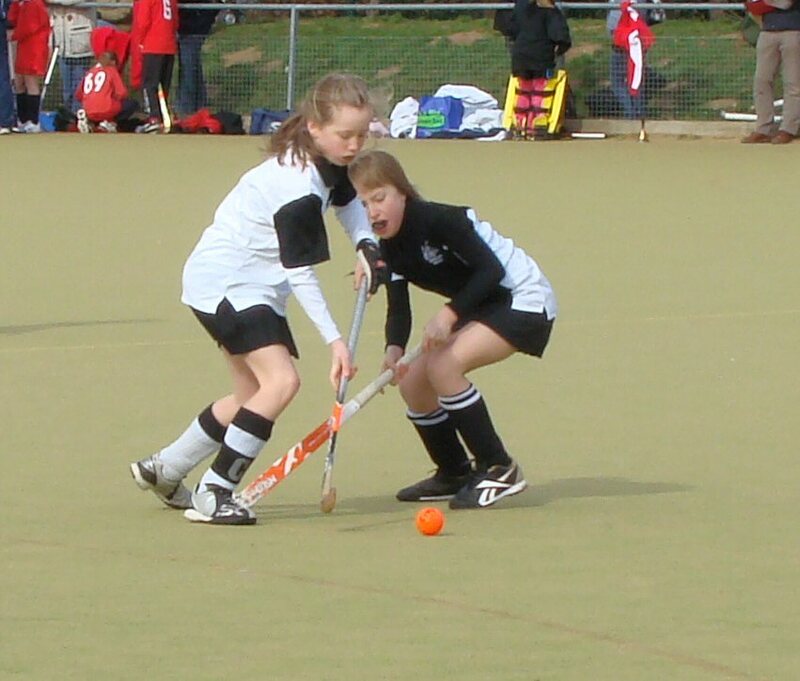 Magpies Under 13 girls defending a short corner. 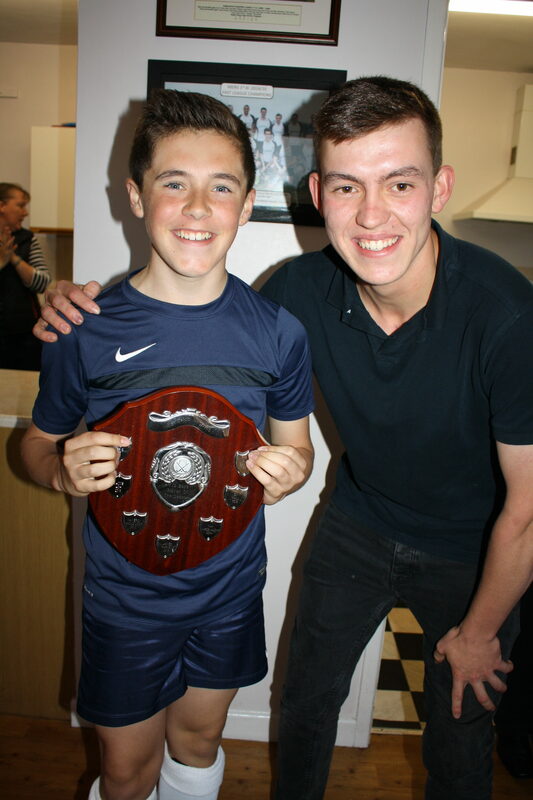 Under 13 Team after winning their 4th tournament of the season. 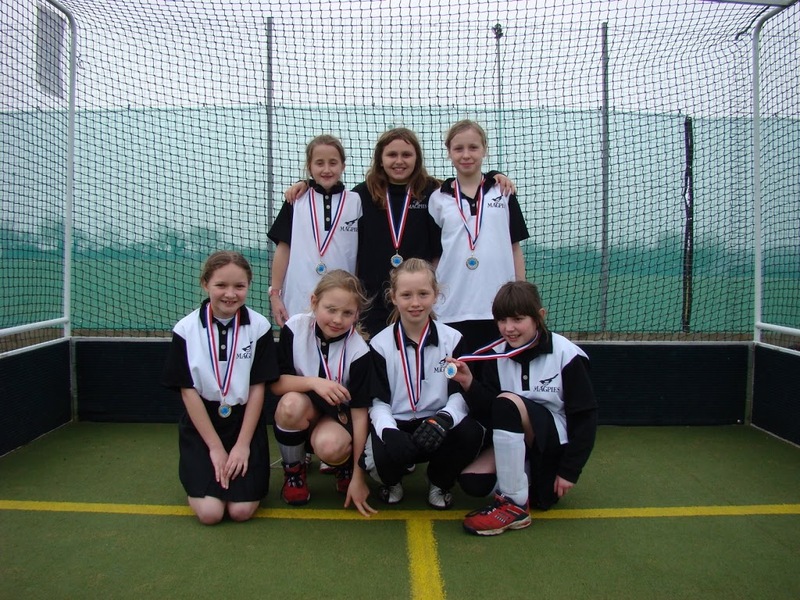 Magpies Under 11 girls enjoyed their second tournament of the season by coming runners up at Watton. The girls got off to a good start by beating Pelicans 1-0 through a goal by captain Kara Kilbourn. Their second match was very disappointing in terms of defending. Norwich City and Magpies were quite well matched but Magpies missed some simple tackles to allow Norwich to score some very soft goals. Sophie Long scored for Magpies but Norwich won 4-1. Some harsh words were spoken about effort and marking and Magpies played much better in their next match to win 2-0. 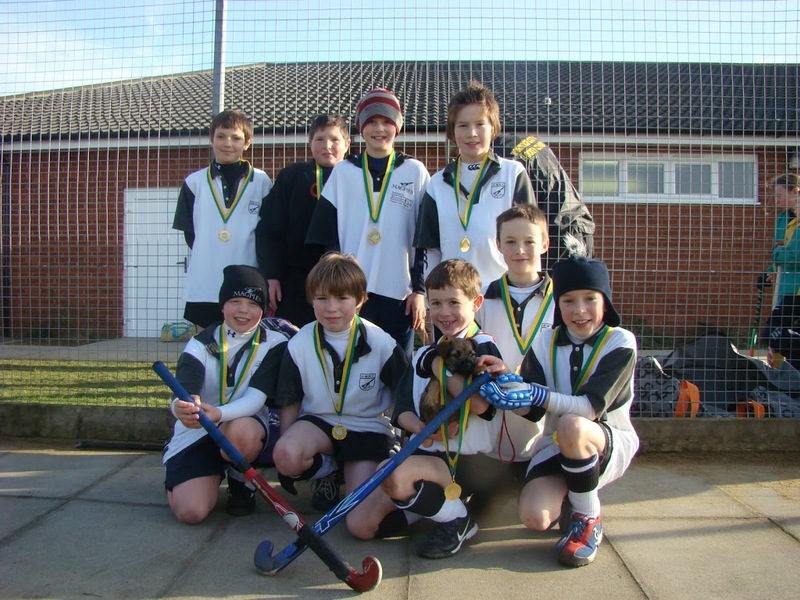 Magpies then played their best hockey of the tournament against Watton. 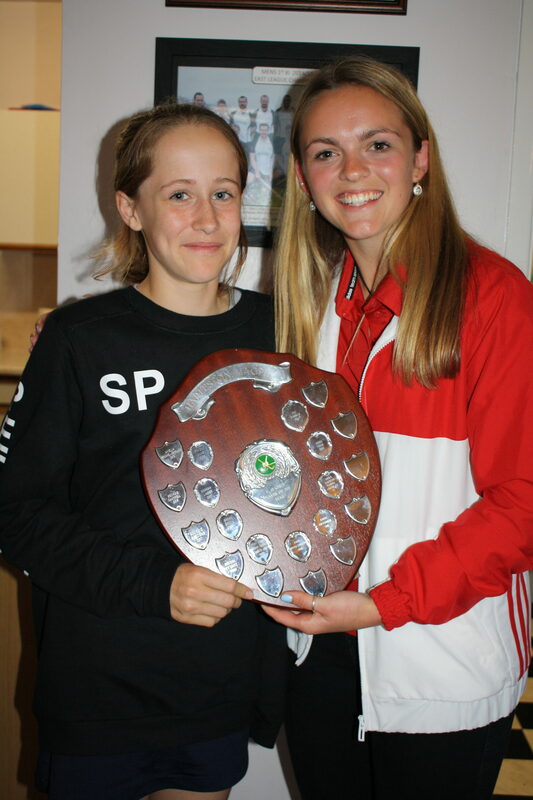 However, a superb goal from Sophie Long was ruled out and the Watton keeper made a series of good saves. The draw still left Magpies in 2nd place going into their last match v Dereham. This was another good performance but Magpies again had to settle for a draw as pressure could not be turned into goals. 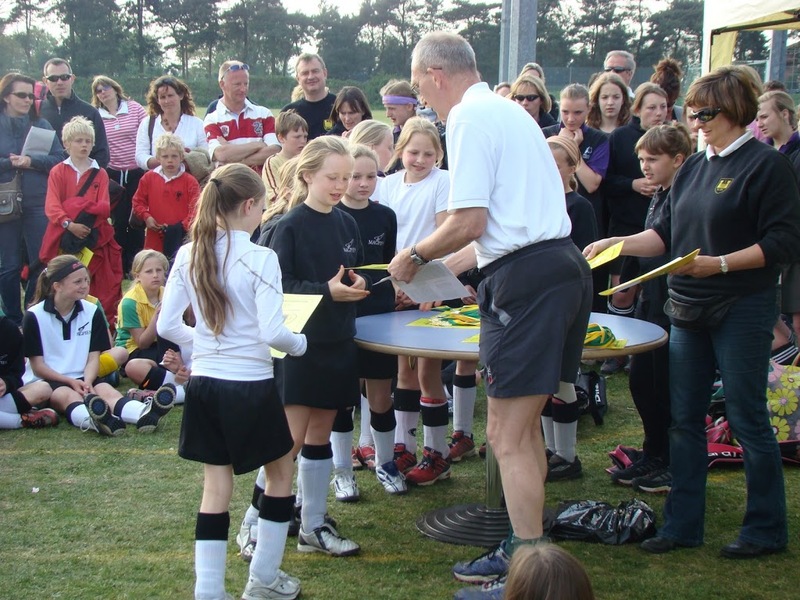 The runners up medals were the first for this group of girls. 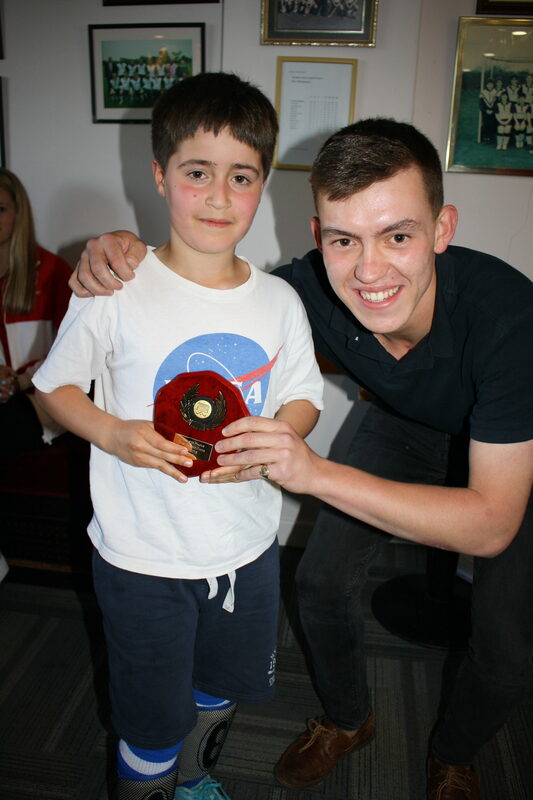 Hopefully they can push on from here to achieve sucess in future tournaments. They are in action again this Sunday at Pelicans. 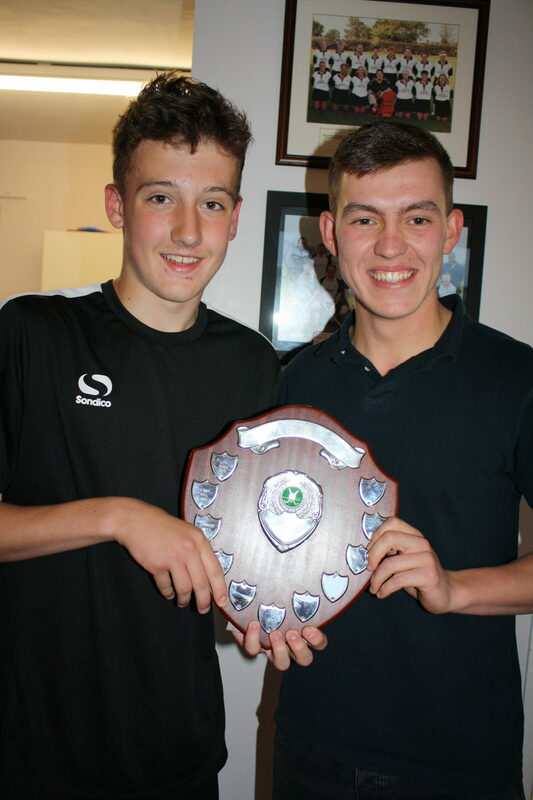 Magpies entered their sixth and final tournament of the season at Dereham playing for the Alex Hill memorial trophy. 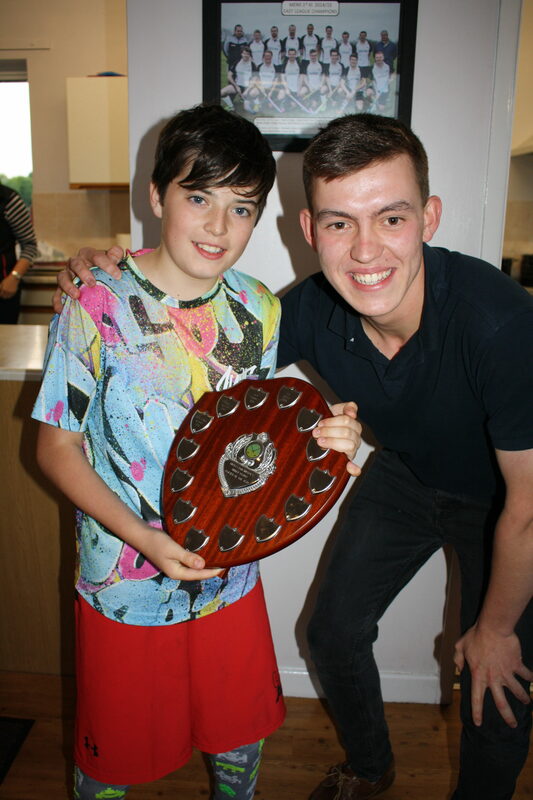 Having finished 3rd twice, 2nd once and 1st in their last two tournaments Magpies were aiming at a third consecutive first place. 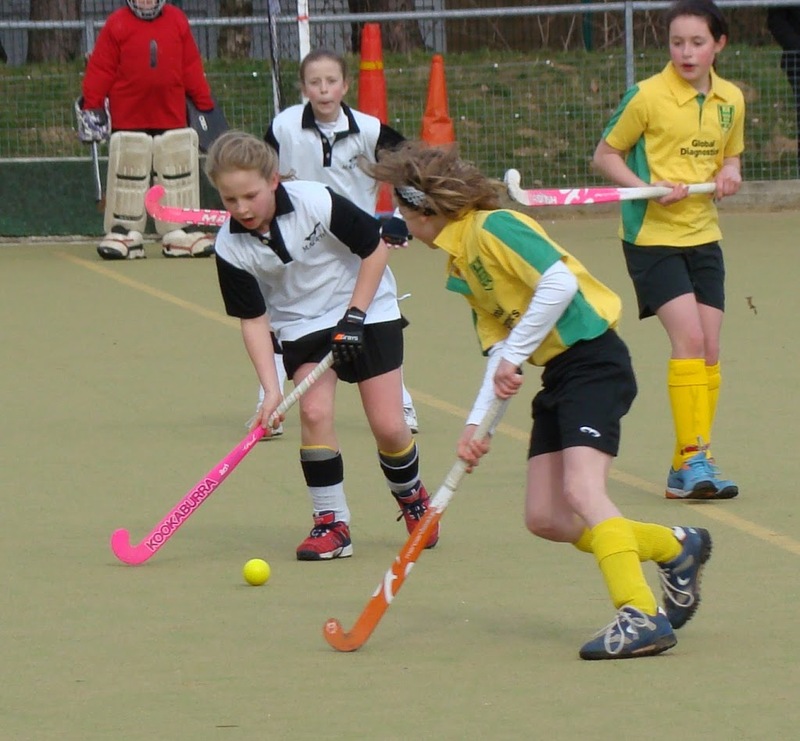 A strong team performance saw Magpies win all six games, scoring 14 goals and conceding none. 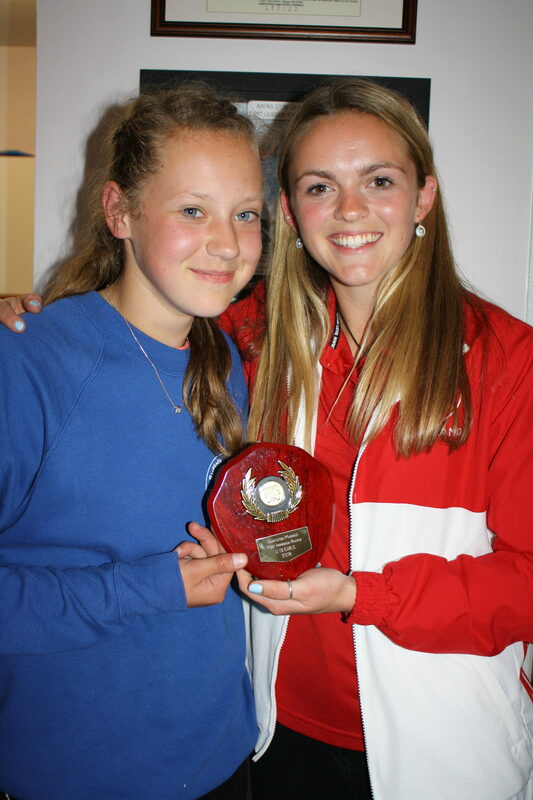 Goalscorers were Saffron Wilford (5), Georgia Scott (4), Kira Wooltorton (2), Emma Owen (2) and Georgia Pearson (1). 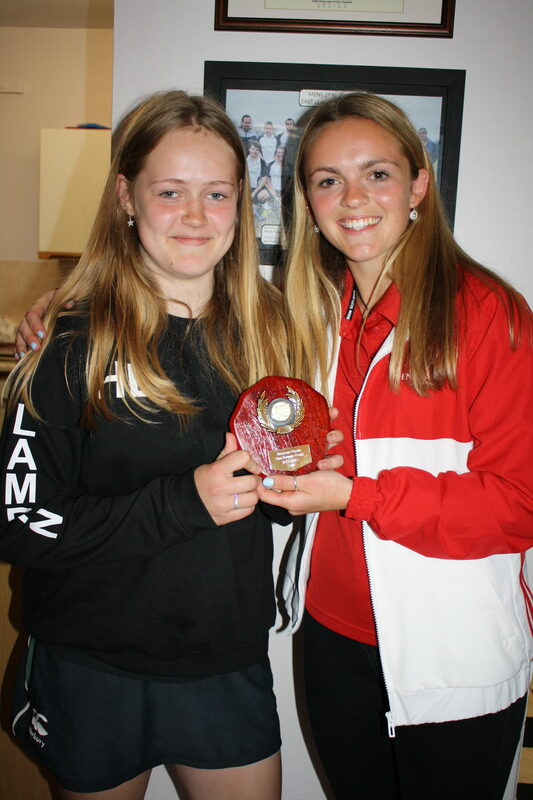 These players along with Laura Davidson and Madeleine Eglington GK gave Magpies yet another first place finish to end a very successful season. 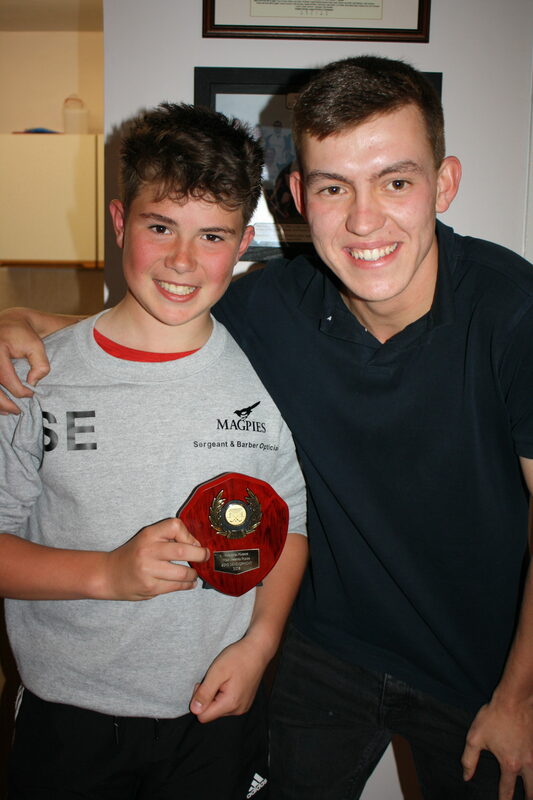 Magpies also entered a second team in the tournament which gave other members of our squad the chance to gain valuable tournament practice. Although the girls failed to win any games our team played with great spirit and battled very hard. 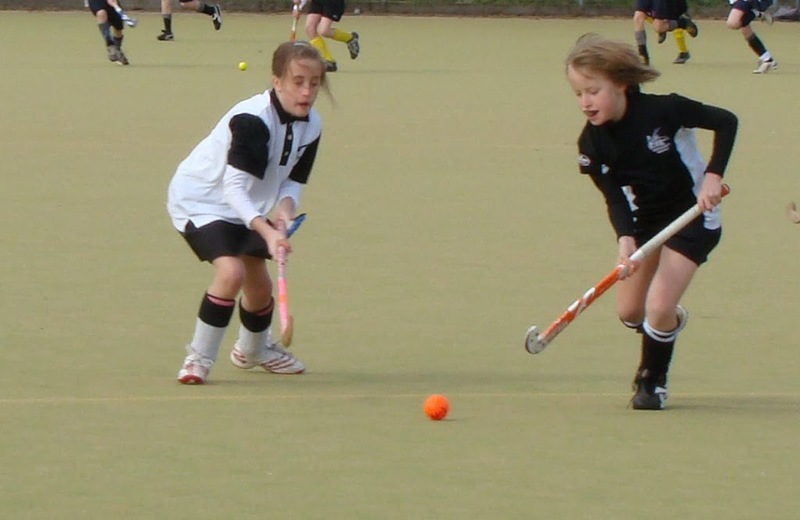 Watton was the venue of Magpies fifth minis tournament of the season. Having previously finished in third place twice and first in their last two tournaments magpies were looking to maintain a winning run. 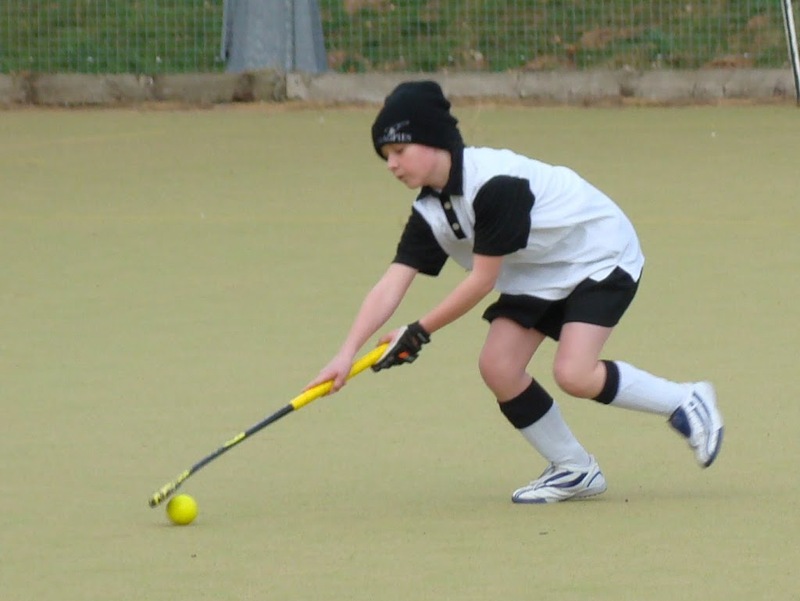 Magpies A managed to start with three unconvincing 1-0 wins against Watton B, Dereham and Watton A before finally playing more fluent hockey against Norwich City and winning comfortably 4-0. Magpies only had to win against our own B team to gain first place and for the second time managed to score four goals without reply 4-0. 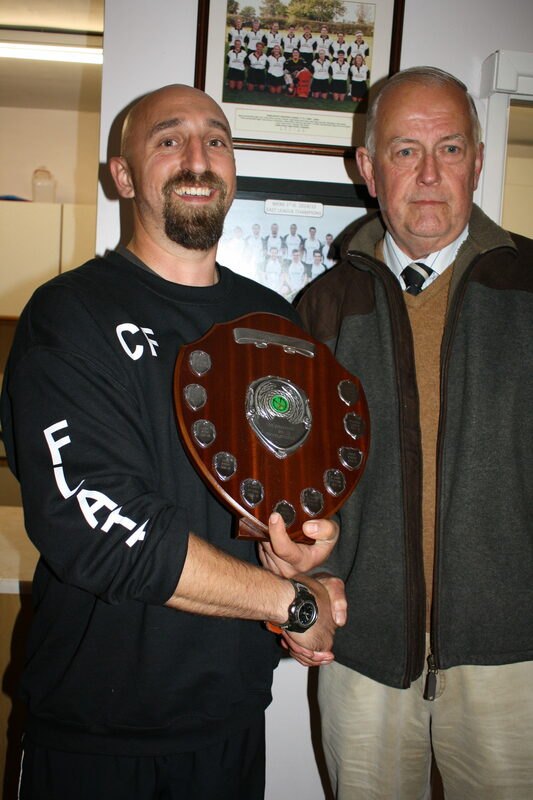 Magpies A had managed to score 11 goals, concede none and finish with 16 points giving us 1st place. 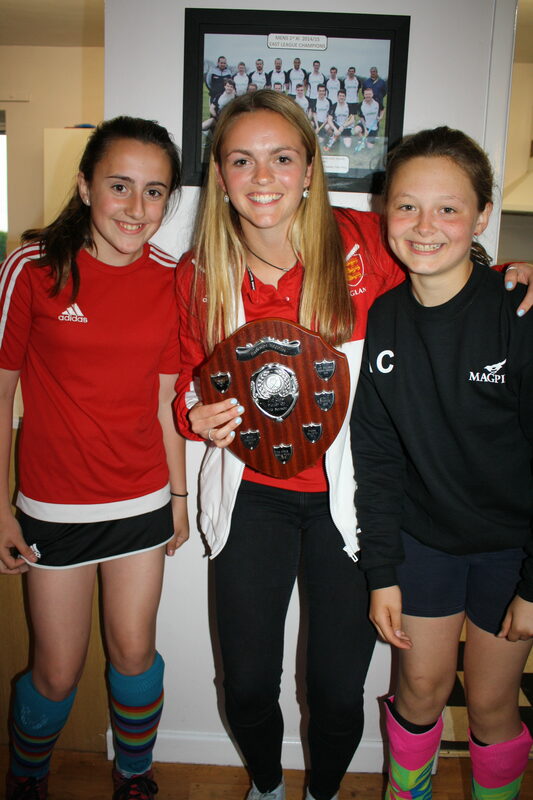 Emma Owen capt (2), Georgia Scott (5), Georgia Pearson (1), Saffron Wilford (2), Kira Wooltorton (1) Madeleine Eglington GK, Laura Davidson. 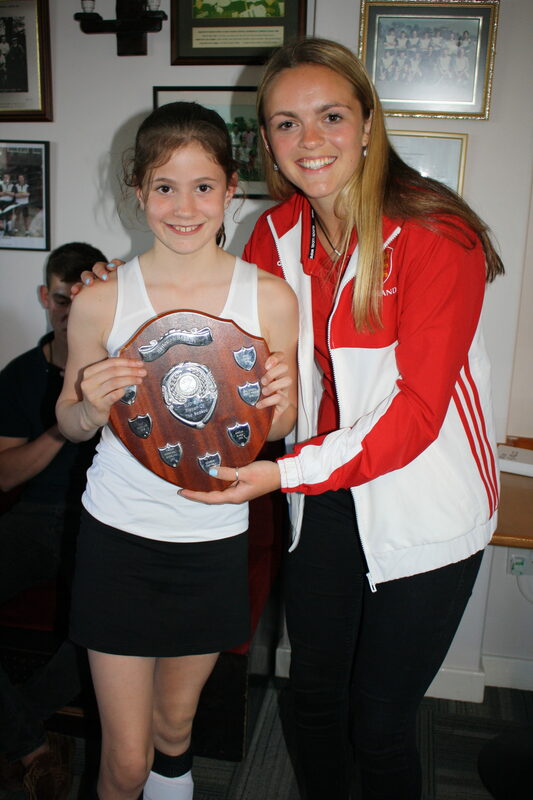 Although failing to win any games the girls battled bravely and adapted well in difficult playing conditions. 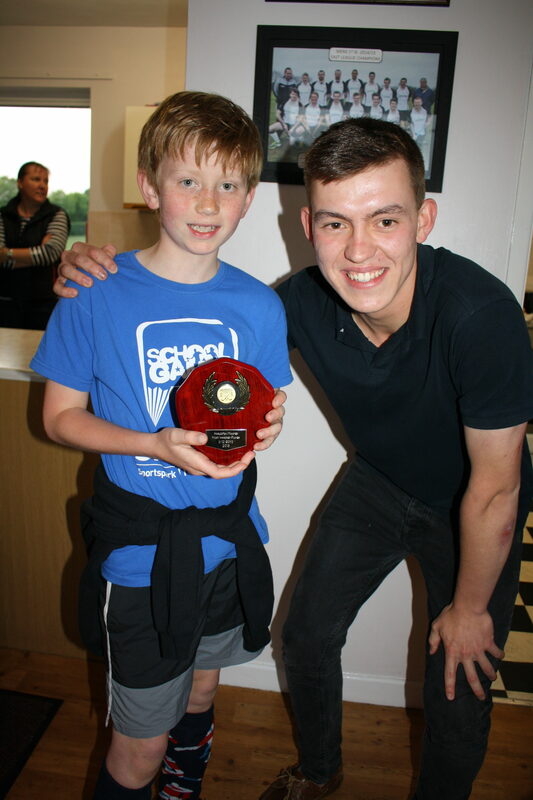 With two goaless draws the B team managed to finish in 6th place. 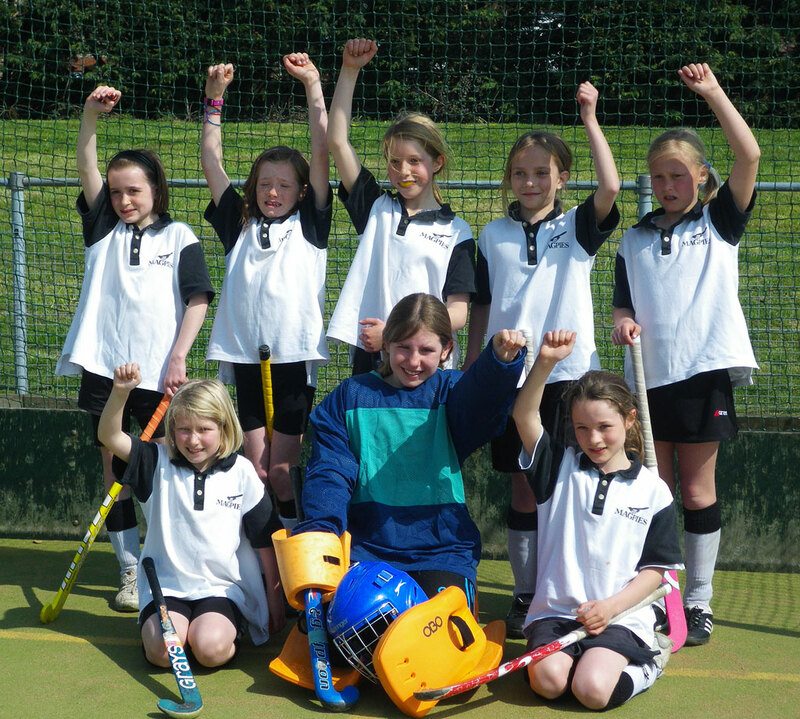 Magpies took their under 11s girls to Taverham on Sunday to participate in the Norfolk Championship Tournament. 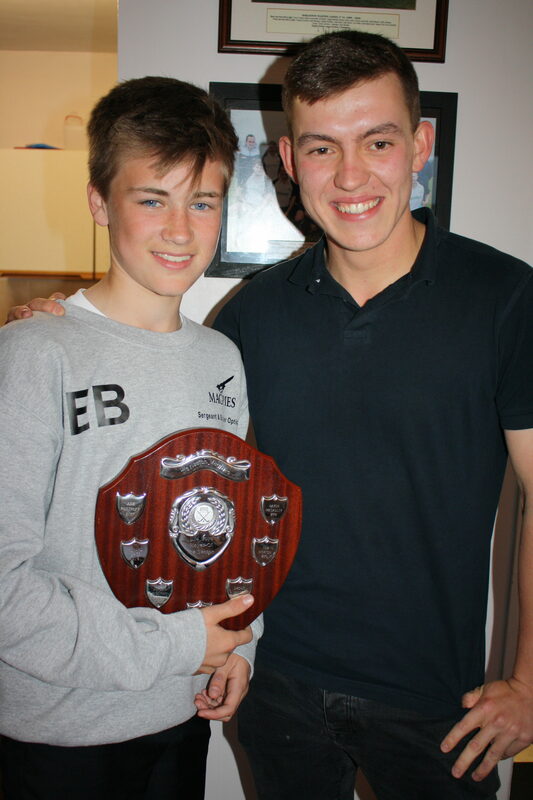 Having won an earlier tournament at Taverham in January Magpies knew that this would be a much tougher test. Our first game against Old Buckenham resulted in a comfortable 3-0 win. Magpies second game against Greshams proved to be a very intense and hard fought encounter with neither team able to score 0-0. Further wins against Watton 4-0, Norwich City 3-0, Taverham Hall 2-0 and Dereham 2-0 meant that Magpies had put themselves in with a chance of first place. Against a strong Town Close team Magpies conceded early but fought back well to gain a well deserved draw 1-1. Our final game against Pelicans resulted in a 1-0 win, however with Greshams only dropping two points (0-0 draw with Magpies) throughout the tournament Magpies had to settle for a very creditable second place. Magpies travelled to Taverham to participate in their third tournament of the season. The girls started with two 1-0 wins against Dereham A and Norwich City before finally getting their passing game together enabling them to score five goals without reply against Dereham B. 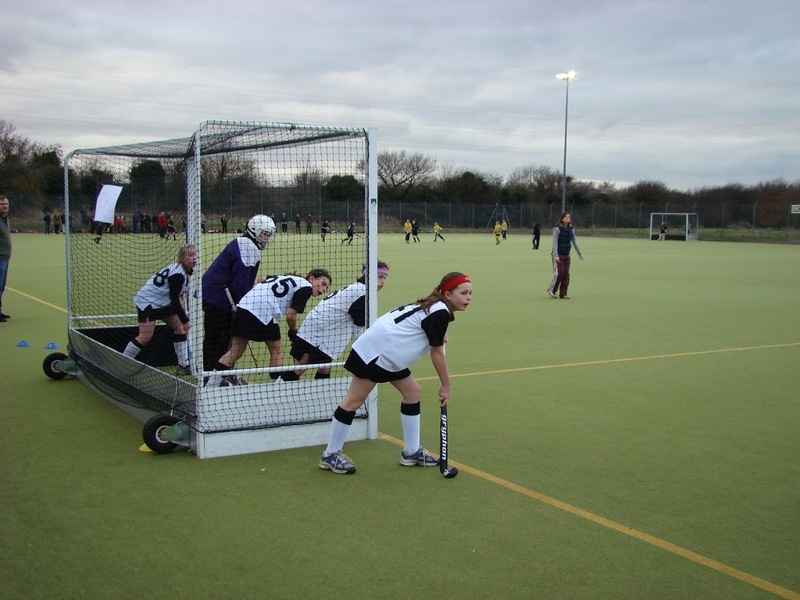 With magpies now playing their best hockey of the season further wins against Watton 3-0 and a strong Pelicans team 4-0 meant that the girls had comfortably finished in 1st place. 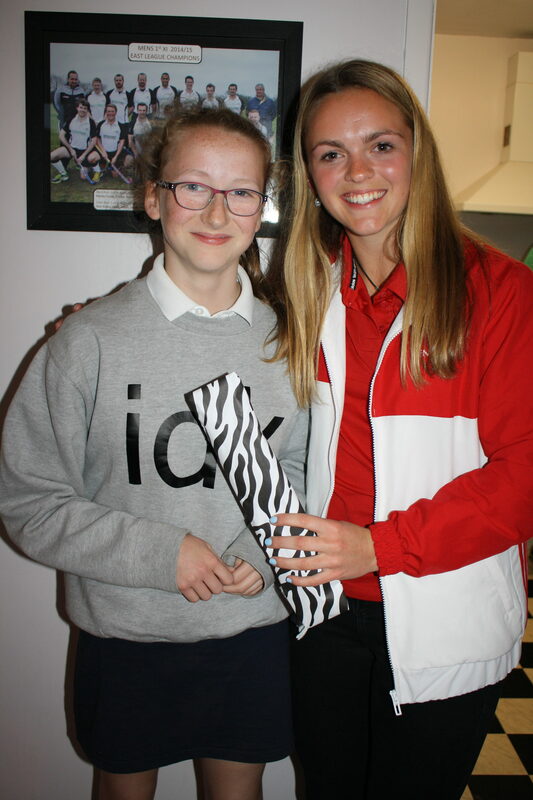 Special mention must go to goal keeper Madeline Eglington who not only kept goal for the under 11s but also made crucial saves for Magpies under 13 girls helping them to also finish in first place. 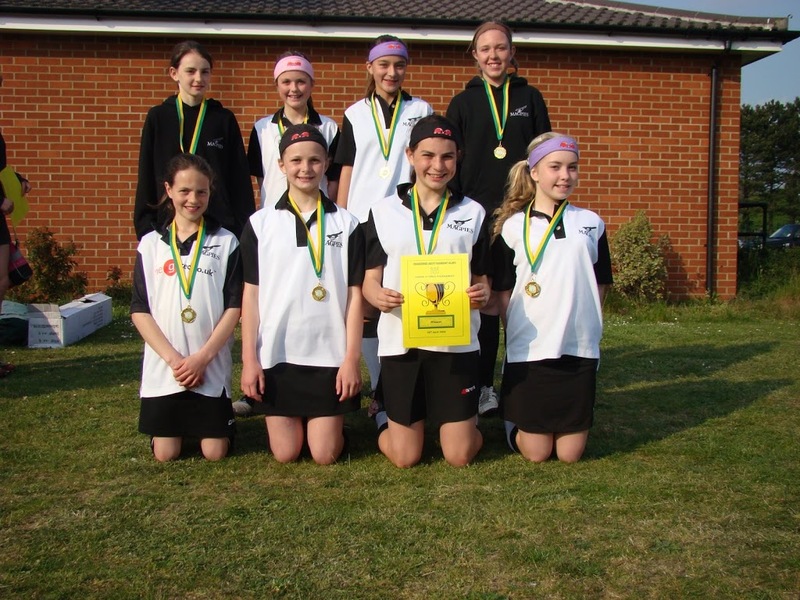 Magpies had entered four teams in the Norwich mini tournament and with both the under 11 and under 13 boys earlier in the day winning their respective age groups the girls had made it four first place finishes for the club. 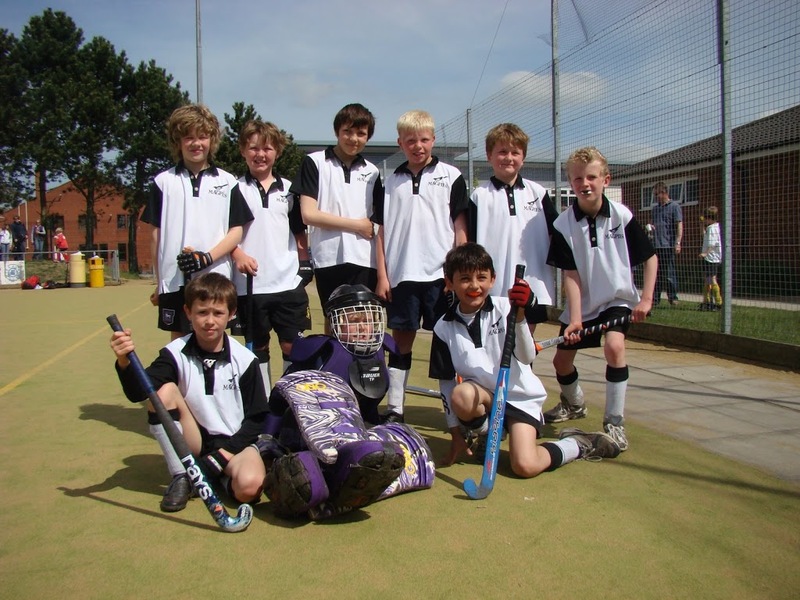 Magpies as hosts entered two under 11 teams in their own tournament. Magpies A started very well winning their first two games against Watton 4-0 (Georgia Scott 2, Saffron 1, Kira 1) and a Norwich/Dereham mixed team 3-0 (Saffron 2, Georgia Scott 1). However Magpies could not sustain their impressive start and a goal less draw against Dereham, a 1-0 defeat against Norwich (eventual winners) and although they managed to beat our own B team 1-0 (Emma 1) Magpies finally finished a very creditable 3rd place. Team :- Madeleine Eglington GK, Saffron Wilford, Kira Wooltorton, Emma Owen, Geogia Scott, Georgia Pearson, Catherine Kilbourn, Kara Kilbourn. 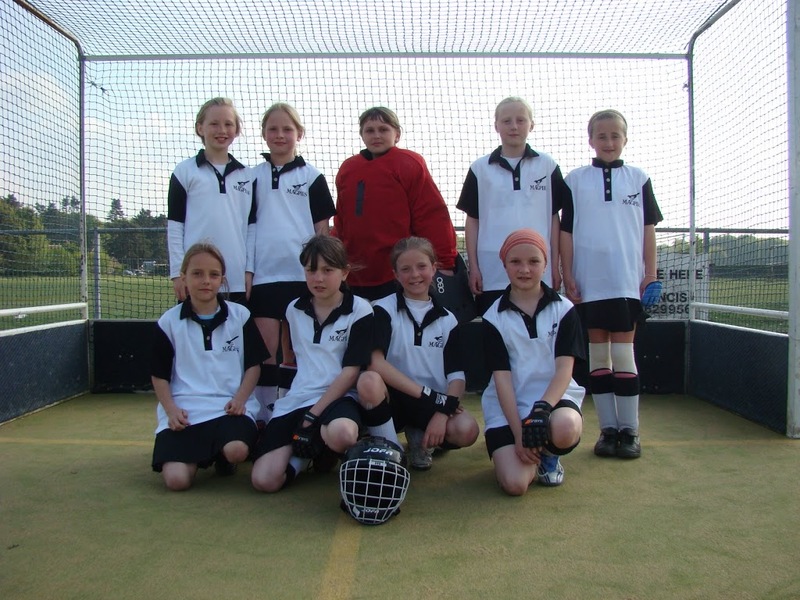 Magpies B had many girls playing in their first tournament and performed very well. Although losing to Norwich 1-0, Dereham 3-0 and Magpies A 1-0, two very hard fought 0-0 draws against Watton and a mixed Norwich/Dereham enabled the girls to finish in 5th place. 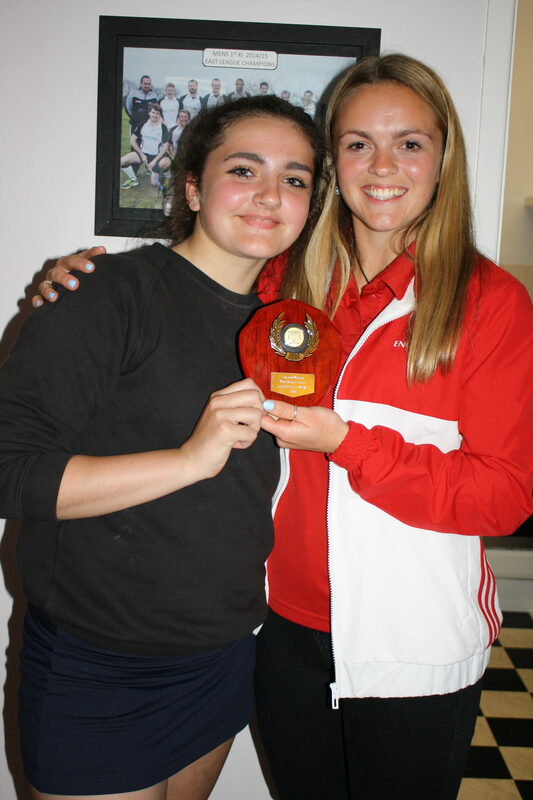 Special mention must go to Ruth Denham who took on the goal keeping task at the last minute and made many crucial saves. Team:- Ruth Denham GK, Olivia Gooderham, Harriet Catchpole, Jessica Young, Laura Davidson, Alice Milne, Harriet Underdown, Sophie Meynell-Anderson, Sophie Long, Emily McCluskey. 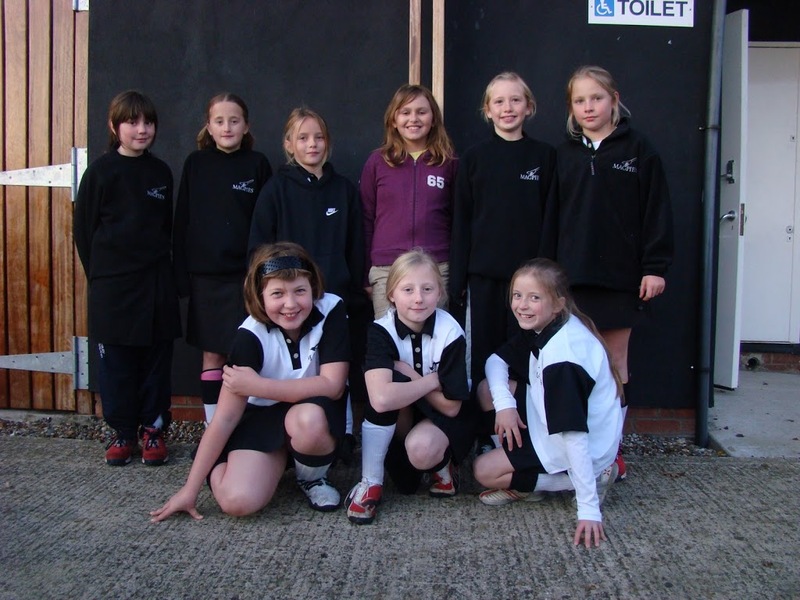 Magpies Girls first under 11 tournament of the season was held on Sunday Oct 7 at Pelicans. Magpies started against a strong and well organised Gresham team (eventual winners) and finally lost a tough opening game 2-0. 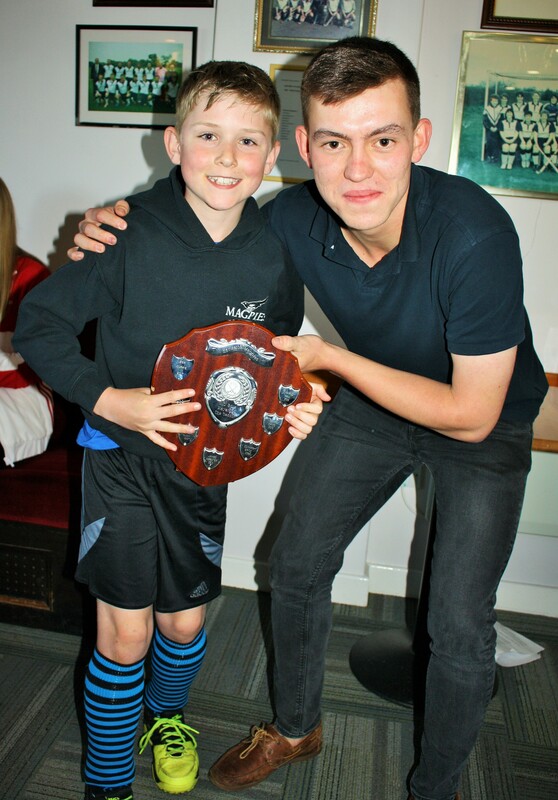 Further games against Dereham, Pelicans and Norwich city resulted in goaless draws. Magpies best performance was against Watton where 2 goals from the impressive Saffron Wilford enabled the girls to get their first win. Strong performances from Saffron Wilford, Kira Wooltorton and Georgia Pearson ably supported by goalkeeper Madaline Eglington, Catherine Kilbourn, Jessica Young, Olivia Gooderham and Harriet Catchpole enabled magpies to finish a creditable 3rd.